Westmoreland was one of the top prep players available in the 2008 Rule 4 draft, but was widely considered unsignable due to his strong commitment to Vanderbilt. (Imagine how much more stacked Vanderbilt's 2011 draft class -- which still features potential first-rounders Sonny Gray, Jack Armstrong and Jason Esposito -- would be with Westmoreland in it.) The Red Sox signed Westmoreland for $2 million, but he had hurt the labrum in his throwing shoulder and ended up having offseason surgery between 2008 and 2009, limiting him to DH duty for most of last summer. He was still recovering from the original injury, playing left field rather than center when he picked up a glove again, only to break his collarbone slamming into the outfield wall while catching a fly ball, further holding back his development. 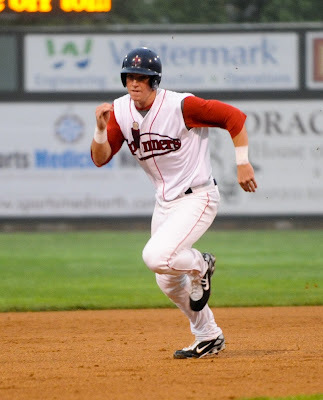 Westmoreland is a top-10 talent with his combination of athleticism, power potential and feel for hitting, and he showed very advanced plate discipline in his limited season in Lowell last year while going a remarkable 19-for-19 in stolen base attempts. The combination of catastrophic injuries does raise the specter of Chris Snelling Disease, in which a prospect is so prone to injury that he can't develop properly as a hitter. But with a full season in 2010, Westmoreland could largely put those concerns to rest. 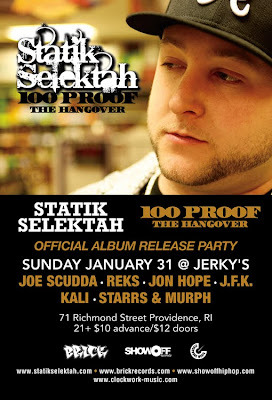 Jon Hope along with others will be performing at Jerky's in Providence on January 31st for Statik Selektah's 100 Proof album release party. 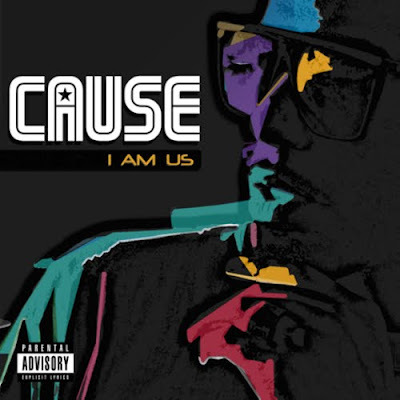 New Joint featuring Jon Hope off of Cause's album, I Am Us. Nicely done video by Mista Mista showing some nice shots of the city. Just wish it was a longer vid. 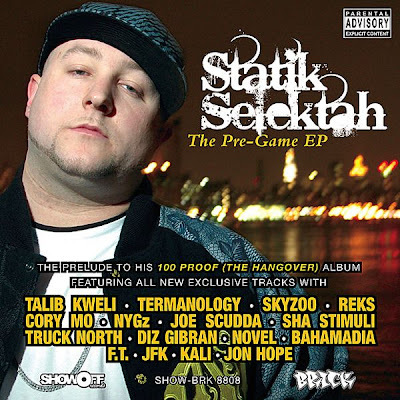 New Joint from Prov City's on Jon Hope. Mista Mista - Heartbeat (prod. 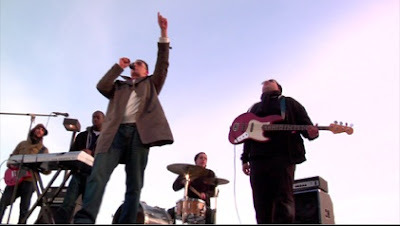 by LJC) Directed by Josue 'SWAY' Mendez from MISTA MISTA on Vimeo. New Joint from the homies Mista Mista & Jon Hope. 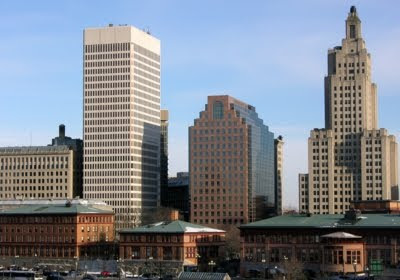 More good news for my home city of Providence. Not only are we the hardest city to get by in, but Forbes.com has also ranked us in the Top 5 of America's Most Stressful Cities, ahead of even Detroit. 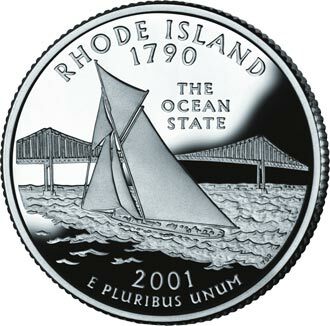 Pretty sad when I saw this article that I just KNEW Providence would be pretty high up on the list. Sinking property values, high unemployment and prices, and poor environments add to the pressure felt by residents in these metros. Los Angeles, Calif., ranks second, followed by New York, N.Y., Cleveland, Ohio, and Providence, R.I.
To find the country's most stressful cities, we examined quality of life factors in the country's 40 largest metropolitan statistical areas, or metros--geographic entities defined by the U.S. Office of Management and Budget for use by federal agencies in collecting, tabulating and publishing federal statistics. We looked at June 2009 unemployment figures provided by the Bureau of Labor and Statistics and cost of living figures from the Council for Community and Economic Research. We examined median home-price drops from Q1 2008 to Q1 2009 that were provided by the National Association of Realtors. Population density based on 2008 data from the U.S. Census Bureau and ESRI also factored. Last, we examined the number of sunny and partly sunny days per year, based on 2007 data from the National Environmental Satellite, Data and Information Service, as well as air-quality figures, based on 2007 data from the U.S. Environmental Protection Agency. Other cities have different reasons for stress: Pittsburgh comes in second for the least amount of sunny days, and ninth for low air quality. While for years we’ve been told to avoid certain skin cancers by staying out of the sun, new research showed a link between low vitamin D levels and increased propensity to the common cold. It’s also believed that vitamin D receptors in cells and tissue may help regulate the immune system. Irritants in the atmosphere can cause increased incidences of asthma, chest tightness or cough.